Thirty-three year-old Sophia Nelson is about to start work as tour guide at Heaton Abbey House, a stately home and former Cistercian Abbey in Yorkshire, England. She returned to her home town six months previously to be closer to her ageing parents, working for a short time at the town’s mining museum before a suspicious fire burned it to the ground. Her mother has dementia, suffered a stroke, and lives in a local care home. When her father fell and badly broke his arm, he couldn’t live on his own anymore, so he sold the family home and moved into sheltered accommodation. Sophia slept on her father’s sofa for a short time before her best friend, Michelle, offered Sophia the bed in her loft conversion. Sophia can’t believe her luck in securing a local job which comes with accommodation – a flat in what used to be the stable yard of Heaton Abbey House. Sophia gets off to an unpromising start with Thomas, Baron Heaton. She first encounters a man she later realises is him behaving suspiciously at a boathouse on the abbey estate. The following day, trying to familiarise herself with the sprawling house, she wanders into the dark library and begins to examine the leather-bound books on the shelves, not realising her employer is seated in a corner enjoying a glass of whisky. He is not too impressed that the tour guide has managed to lose herself in the house on her first day. For Sophia, it is lust at first sight of her tall, dark, and handsome employer, and who turns her into what she describes as ‘a gibbering mess’. Matters don’t improve when she witnesses Lord Heaton throwing a man out of his office and later that day she bursts into tears and runs from the library when he asks her about her parents. Returning to the library to apologise for her behaviour, she hears him speaking about his sister, Stephanie, who is in hospital having just suffered a miscarriage. What Sophia overhears leaves her torn between her attraction to Lord Heaton and the fear of opening a Pandora’s box if the truth were to get out. How long can Sophia stay at Heaton Abbey knowing what she does? She was at Michelle’s at eight o’clock on the dot that evening. “Lord Heaton,” she replied simply. “And what do you call him?” Michelle frowned. Thirty-nine year-old Thomas Heaton is the 13th Baron Heaton. He inherited the title from his father when he had just finished university at Cambridge. For almost twenty years, he has had the burden and responsibility of not wanting to be remembered as the Heaton who had to sell Heaton Abbey House. Despite working long hours – often sleeping in his office – and being regarded as a recluse, he has been forced to open up the house to the public in order to keep the estate afloat. Luckily, the house is somewhere tourists will flock to see. Thomas’ ancestor, Sir William Heaton bought the abbey and its lands following the dissolution of the monasteries in the late 1530s, renamed the abbey after himself, and remodelled the monastic buildings to suit his own domestic requirements. A descendent of Sir William’s was created a Baron in the early 18th century and more rebuilding took place, reflecting the family’s elevation to the peerage. A further descendent made a fortune from coal mining, resulting in yet more rebuilding and restyling. A 20th century descendent made a catastrophic business deal and was forced to sell the mine and some land but, thankfully, the house with its mishmash of styles and five hundred acres of land remained unsold. When he has a few minutes to spare, Thomas retreats to the abbey library to savour a glass of single-malt whisky. Having studied History of Art at university and with a weakness for full-figured Renaissance women, he can hardly believe his eyes when a curvy red-haired woman wanders in and begins to examine the books, not realising he is seated in a corner. The voluptuous Sophia Nelson may as well have walked off the pages of his art textbooks and will be working and living right on his doorstep. Thomas’ elder sister, Stephanie, recently suffered a miscarriage at the hands of her violent boyfriend and lost a lot of blood. When Thomas offered to donate blood, he is told he can’t – and why – a secret that has been closely guarded for forty years and which shakes his world to the core. When Sophia overhears the secret, Thomas can only hope she doesn’t reveal it. He struggles to keep his distance and his feelings under control, despite finding himself more and more in her company. She is the tour guide – staff – someone he really shouldn’t become involved with. Is it only a matter of time before the secret becomes public knowledge? When she overhears the secret surrounding his parentage, she is torn. But is it her attraction to him or the fear of opening a Pandora’s box that makes her keep quiet about it? How long can Sophia stay at Heaton Abbey knowing what she does? Closing the bedroom door, she saw Heaton crossing the stable yard. It was the first time she had seen him dressed in anything but a suit and she stopped and stared. He was wearing a brown wax jacket with a bottle green jumper underneath, khaki combat-style trousers similar to her own and brown walking boots. She sighed and shook her head. It looked as though he was one of those men who looked fabulous in everything they wore. She reached for her mobile phone, pulled on a waterproof jacket, and grabbed her car keys before going downstairs to join him. “You’ll have to move the seat back,” she said as she unlocked the Mini. He got in and moved the passenger seat so far back that he might as well have been sitting on the back seat. She looked around at him, couldn’t help herself, and laughed. She got out, locked the car, and saw him emerge from Des’ office. The two of them crossed the stable yard to the huge Land Rover. “You’ll have to give me directions to where we start from,” he said as they got in. He locked the Land Rover, they climbed over the stile, and walked up onto the footpath which ran through the heather. “It’s lovely up here, isn’t it?” He halted after a few paces, hands on hips, and looked around them. They set off again at a slower pace. “Where did you go to university?” she asked. “Were you ever down the mine?” he asked. “No, I was never allowed, and it’s far too dangerous now. The nearest I got was the museum. I’d liked to have satisfied my curiosity but I much prefer the open air. He pulled a comical expression as she stared at him. It was hard to imagine him crying his eyes out but who knows how he reacted when he left the library after learning that his real mother was a complete stranger. “Do you not have any other family?” he asked. “At least you can raid it now,” she teased. She smiled and looked away, hoping that he couldn’t see her blush. “Would you like me to come with you?” she asked, hoping she wasn’t overstepping the mark, and he failed to hide his relief at her offer. “I take it that she doesn’t know?” she asked. “Her name’s Michelle,” she told him. He just shrugged comically and they returned to the Land Rover. Stephanie Heaton is forty – a year older than her brother, Thomas, Baron Heaton – but being female, she could not inherit the title. She went to university in London but now lives in an apartment in Leeds, and owns and runs a company which designs wedding dresses. Officially known as The Honourable Stephanie Heaton, she prefers to be known simply as Stephanie. One of her previous employers already knew she was the sister of a baron, the other only found out after she had been with the company for over a year. Stephanie knows Thomas works too hard and has very few friends, so she has started buying clothes for him to replace the suits she hates and which he wears all day every day. She is also encouraging her friends to bring him for nights out to get him away from the abbey, even for only a short time. When Sophia Nelson arrives at Heaton Abbey to begin work as tour guide, Stephanie is in hospital. Simon – Stephanie’s drug-dealing boyfriend – has hit her yet again. Stephanie suffered a miscarriage and lost a lot of blood. Thomas knows Simon all too well. They were at school together and were – and still are – anything but friends. Thomas has begged Stephanie to finish with Simon and come home to the abbey but so far she has stubbornly refused. Thomas is very much afraid that one day soon Simon will kill her. Will Stephanie leave her boyfriend before it’s too late? When she overhears the secret surrounding his parentage, she is torn. But is it her attraction to him the fear of opening a Pandora’s box that makes her keep quiet about it? “Is there anything I can do?” Sophia asked. She returned to the flat, saw him reverse the Jaguar out of the garage, then walk to the door of Des’ flat. When he drove away a few minutes later, she peered out into the yard and saw light shining out from Des’ office. She went downstairs and knocked at the door. Sophia Nelson’s father, William, is seventy-eight years-old and was a coal miner. When the mine closed in 1990, he put his heart and soul into the town’s mining museum, only to see it burn to the ground in a suspicious fire and Sophia lose her job there as a result. He continues to hold out hope that the museum will be re-built and, while he is pleased Sophia has found another job, he isn’t too happy that it is as tour guide at Heaton Abbey House. Sophia’s mother, Maria Nelson, is seventy-five. She worked in an engineering firm in Leeds and became friends with Danielle O’Hara, mother of Sophia’s best friend Michelle, but they drifted apart when Danielle married Don Armstrong and moved to London. Maria now suffers from dementia, has recently had a stroke, and lives in Rich Hill Nursing Home. Maria has periods of lucidity but at times she thinks Sophia is Sophia’s aunt Sally, or even Sophia’s grandmother. William visits his wife every day but after falling and badly breaking his arm, he had to spend some time in hospital. Because he was unable to visit her, Maria assumed he had died. Even when he left hospital and started visiting her again, Maria still thinks William is dead and that he is her long-dead brother. Like her husband, Maria isn’t happy that Sophia is now living and working at Heaton Abbey. She begs Sophia to ‘get out of that place’ and but refuses to say why. What happened at the abbey and is Maria speaking to Sophia, or is she thinking of someone else? “You are looking for another job, aren’t you, Sally?” her mother added. Sophia could hear feet running down the corridor and her father and a nurse rushed into the room. “Mrs Nelson?” The nurse tried to soothe her. Sophia got up and went out into the corridor, kicking the skirting board in frustration. A couple of minutes later her father followed. “What the hell was that about?” he demanded. “You like the abbey, then?” he asked. Michelle Giles is thirty-three years old and has been Sophia Nelson’s best friend since they were at school together. Michelle is married to Tony and they have one daughter, Cathy, who is six. Now Cathy is at school, Michelle works part-time in the town’s tourist office. When Sophia split up with her boyfriend and returned to Yorkshire from London to be near to her ageing parents, she slept for a while on her father’s uncomfortable sofa and worked at the town’s mining museum before a suspicious fire burned it to the ground. Michelle then took pity on her and offered her the bed in the loft conversion. Sophia lives with the Giles’ for the next few months but eventually finds a job as tour guide at Heaton Abbey House, a stately home and former Cistercian Abbey, which comes with accommodation. Michelle has mixed feelings about Sophia’s new job and the fact that Sophia will be living at Heaton Abbey – a place people from the town have little or no connection with. Michelle doesn’t want her friend ‘bowing and scraping’ at the abbey but, at the same time, she does want to see Sophia employed and happy again. But what if Sophia’s employment and happiness includes Lord Heaton – dismissed as a recluse by everyone in the town? 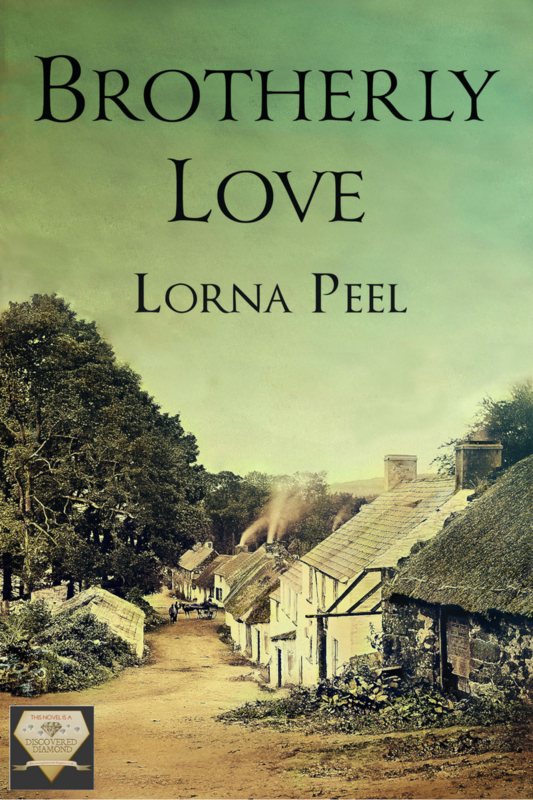 Will Michelle simply see the lord – the title – and not the man underneath like everyone else? Letting herself into the flat, she blew out her cheeks before going to the cupboard and retrieving a small tin of baked beans. She emptied the contents into a saucepan, turned the gas hob on, then heard her mobile phone ringing. Picking it up and glancing at the screen her heart sank. It was Michelle. “You’ll never guess who we had an email from at work?” Michelle laughed. “You expected him to be still writing on parchment with a quill, or something?” Sophia asked, pressing the speakerphone button and carrying on with preparing her lunch. “Yes, why?” Sophia put two slices of whole grain brown bread in the toaster and pushed the lever down. “No, not really,” Sophia lied, opening the fridge and taking out a tub of low fat spread. Where could she start? Best not to even try. Sophia’s mind then went back to Lady Heaton’s peculiar behaviour as she left the drawing room. And where had all that money come from? She shrugged. No, best not even try. She just laughed and said goodbye to Michelle as the toast popped up and the beans came to the boil. A stately home is a property built in the United Kingdom and Ireland between the mid-16th century and the early part of the 20th century. They include converted abbeys and other church property following the Dissolution of the Monasteries. Stately homes are different from country houses in that a country house is always in the country, but a stately home can also be in a town or city. The phrase ‘stately home’ originates from the poem The Homes of England by Felicia Hemans, which was published in Blackwood’s Magazine in 1827. King Henry VIII’s policy of the Dissolution of the Monasteries resulted in many former ecclesiastical properties being turned over to the King’s favourites, who then converted them into private country houses. Lacock Abbey, Woburn Abbey, and many other properties with Abbey or Priory in their name often date from this period as private houses. These houses were a status symbol for the aristocracy and famous architects and landscape architects such as Sir Edwin Lutyens, Sir John Vanburgh, and Capability Brown were employed to incorporate new trends into the buildings and gardens. Many stately homes are an evolution of one or more styles but driven by practicality just much as architectural trends. The beginning of the decline of the stately home coincided with the rise of modern industry. It provided alternative employment for large numbers of servants, but its final demise began during World War I. The huge staff required to maintain them had either left to fight and never returned, went to work in the munitions factories, or filled the void left by fighting men in other workplaces. Of those who did return home from the war, many left the countryside for better-paid jobs in towns and cities. The death blow for many stately homes came following World War II. Many were requisitioned during the war and returned to their owners in poor repair. Many had lost their heirs in one of the World Wars. Owners who survived were required to pay high rates of tax and death duties. Agricultural incomes from the accompanying estates had also fallen. The solution for some owners was to hold contents auctions, selling its stone, fireplaces, and panelling before demolishing the house. But some properties, including Chatsworth House, are still owned by the families who built them, retain their furniture and paintings, but have opened their house and estate to the public during the summer months. Most stately homes now have to be a business as well as a home. A Summer of Secrets – Sophia Nelson returns to her hometown in Yorkshire, England to begin a new job as tour guide at Heaton Abbey House. There, she meets the reclusive Thomas, Baron Heaton, a lonely workaholic. In the library he retrieved a cardboard wallet from a shelf, and brought it over to a desk, before switching on the reading lamp. He was very knowledgeable and seemed to relax when he spoke of the past but with a temper like his, his chances of being a good tour guide were very slim. “You’re from the town, aren’t you?” he asked, returning the etchings to the folder. “I will, but there are days that I could tell her that I was the Queen of Sheba and she’d believe me.” Don’t cry, she ordered herself, but she couldn’t stop the tears coming. “I’m sorry,” she gasped and fled from the room. She ran blindly through the hall—almost colliding with Lady Heaton—hauled the heavy front door open, and staggered out onto the steps before halting to catch her breath. Pulling a paper handkerchief from her pocket, she wiped her eyes. Oh, God, what the hell will they both think of you now, she demanded of herself. A hysterical, nosy idiot who doesn’t know when to keep her mouth shut, that’s what. A peer of the realm is someone who holds one or more of five titles – duke, marquess, earl, viscount, baron – inherited from a direct ancestor, or bestowed upon him by the sovereign. Depending on the terms in which a peerage was originally granted, some cannot be held by a female and others cannot be transmitted through a female line of succession. The baron is the fifth and last rank of the peerage and the word baron means ‘man’, being formerly the king’s tenant in chief – a nobleman who held land. 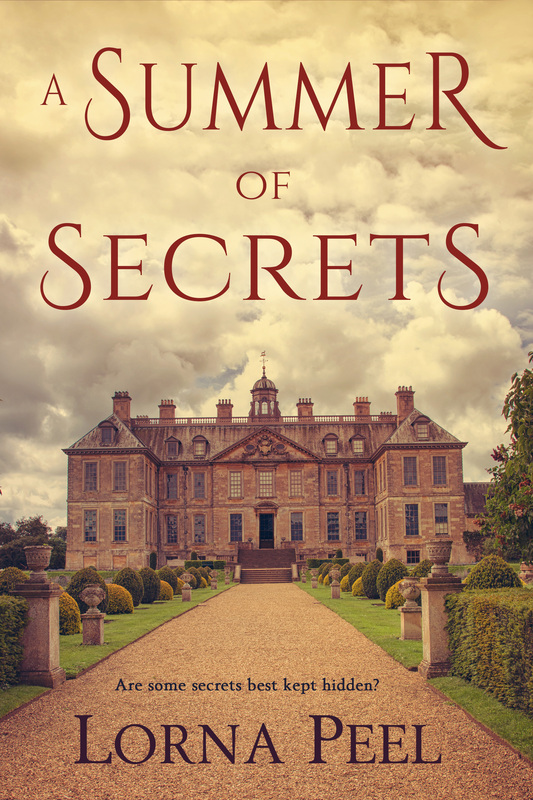 A Summer of Secrets’ Thomas Heaton is the current Baron Heaton, having inherited the title from his father just after leaving university. A baron is always referred to, both verbally and in correspondence, as Lord (Heaton) rather than Baron (Heaton). A baron can also be referred to as ‘My Lord’ or ‘Your Lordship’. The title baron or baroness is never used, except in formal or legal documents. The wife of a baron is known as Lady (Heaton). When A Summer of Secrets’ Lady Heaton was widowed, she became a dowager, but the custom has been not to prefix either the forename or the word dowager to the title, e.g. ‘Forename, Baroness Heaton’ or ‘Dowager Baroness Heaton’ until the heir to the title marries. So she continues to use the title ‘Baroness Heaton’ but she is still commonly called ‘Lady Heaton’, and addressed verbally or to her face as ‘Your Ladyship’. Thomas Heaton’s elder sister, Stephanie, is known formally as ‘The Honourable Stephanie Heaton’, which is written as ‘The Hon Stephanie Heaton’ on letters and legal documents. She is still commonly addressed as Miss/Ms Heaton as no-one is called ‘The Honourable’ verbally or to their face. As with all peers, barons are entitled to both coronation and parliament robes. The coronation robe – worn only at the coronation of the sovereign – is of crimson velvet, edged with white fur and has two rows of ermine on the white fur cape. Baronesses are entitled to wear coronation robes similar to those of a baron, these are edged with a two inch border of white fur with a train a yard long. The rank of baron is also shown by the coronet worn at a coronation. As the lowest rank, a baron’s coronet is the plainest design, with six silver balls, known as pearls. The parliament robe of a baron is a full-length scarlet robe with a collar of white miniver fur and is tied at the left shoulder with a white ribbon. Two bars (edged with gold oak-leaf lace) on the right-hand side of the robe indicate the rank of baron. Thomas Heaton has only worn his only once – back in 1999 – just before most hereditary peers were excluded from The House of Lords. After the awful rubbery lasagne, Sophia went to the house. Finding the side door open, and with only one wrong turn, made her way downstairs to the kitchen. No. “Well, I…” she began. “What happened to his father?” Selecting a currant bun, Sophia took a bite. It was delicious.